After a decent opening weekend, Kangana Ranaut’s Manikarnika: The Queen of Jhansi remained almost steady over the weekdays after a usual drop and completed its first week on a reputed note. Directed by Krish, the movie was released last Friday with good expectations. 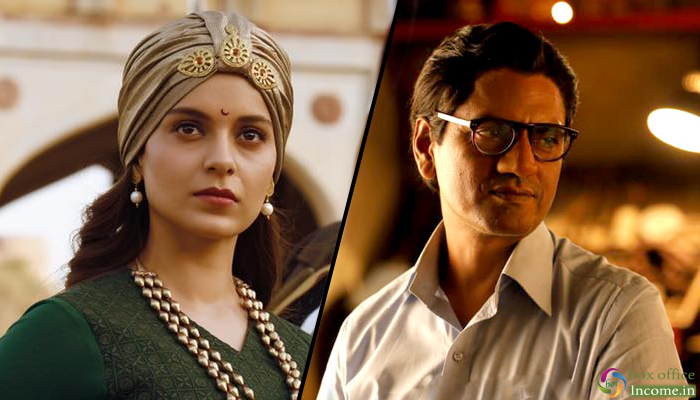 Manikarnika: The Queen of Jhansi has received almost positive reviews from the critics but got failed to attract major audience toward theatres. 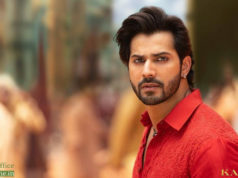 As a result, it did the business of 42.55 crores in the opening weekend with 8.75 crores on Friday, 18.10 crores on Saturday, and 15.70 crores on Sunday. 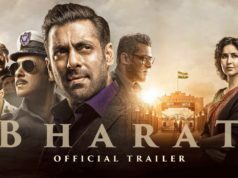 Then on weekdays, it faced a drop in footfalls but remained steady and minted the amount of 5.10 crores on Monday, 4.75 crores on Tuesday, and 4.50 crores on Wednesday. On the next day i.e. Thursday, the movie raked 4.25 crores and raised its one week total collection to 61.15 crores including Hindi, Tamil and Telugu versions from 3000 screens nationwide. On the other hand, the awaited Bollywood movie Thackeray managed to take a good start with positive feedback and did the business of 22.90 crores in the weekend, that included 6 crores of Friday, 10 crores of Saturday & 6.90 crores of Sunday. On Weekdays, after an abrupt drop, Viacom18 Motion Pictures’s production collected the amount of 2.90 crores on Monday, 2.50 crores on Tuesday, and 1.90 crores on Wednesday. On Thursday, it bagged 1.60 crores and raised its one week total collection to 31.60 crores nett from 1300+ screens across India.